New research has revealed that more than three quarters of British cat owners have not made provisions for their pet should they pass away. A Cats Protection survey showed 91 per cent of UK cat owners consider their cat to be a family member but only 23 per cent have made plans for their cat in the event of their death. Unsurprisingly, pet owners over the age of 55 were more likely to have made arrangements for their cats but still just 28 per cent prepare for their pet’s life after their death. 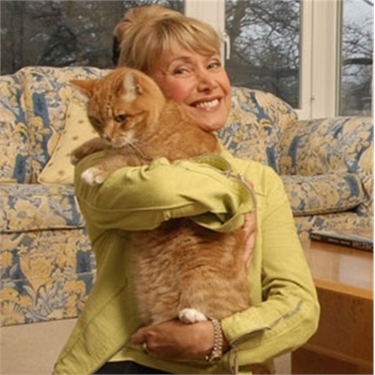 Cats Protection ambassador and broadcaster Jan Leeming is urging fellow cat owners to consider joining Cats Protection’s Cat Guardians service, a free service aimed at giving peace of mind to cat owners concerned about what might happen if they were to pass away before their cat. Through the service owners can make arrangements so that in the event of their death, we will take care of their cats until we find them a loving new home. Jan Leeming said: “The older you get the more important your pet becomes. They can be the biggest comfort to an elderly person and their closest companion.